Karbevu is a konkani word for curry leaves [popularly known as kadipatta] and by now you must have guessed the main ingredient of today's post. 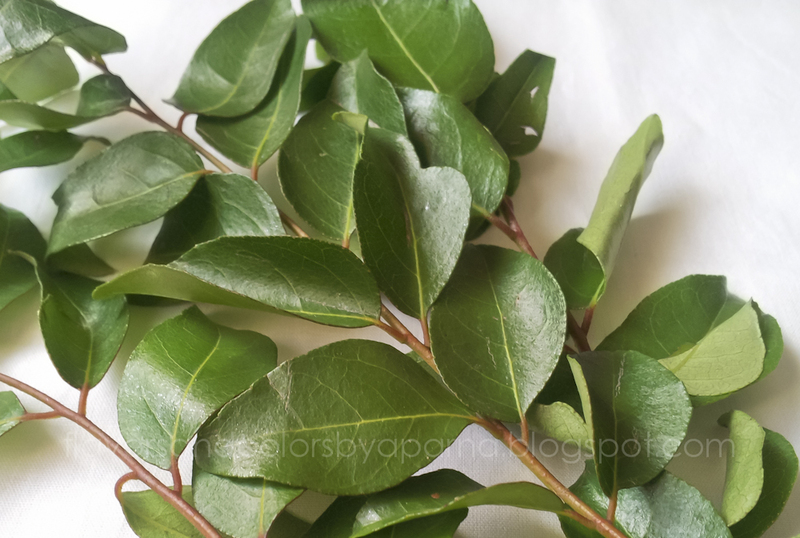 Curry leaves are known to add unique flavour to the dish and has been mainly used as seasoning ingredient. Fresh leaves have a short shelf life [they tend to blacken and lose the flavor soon] and so should be stored properly in airtight containers. They have many health benefits which you can read here. Despite all these benefits, many of us choose to keep them aside in plate and not eat it. Below recipe is a healthy way to incorporate these leaves in our diet instead of allowing them to dry or keeping them aside on the plate. 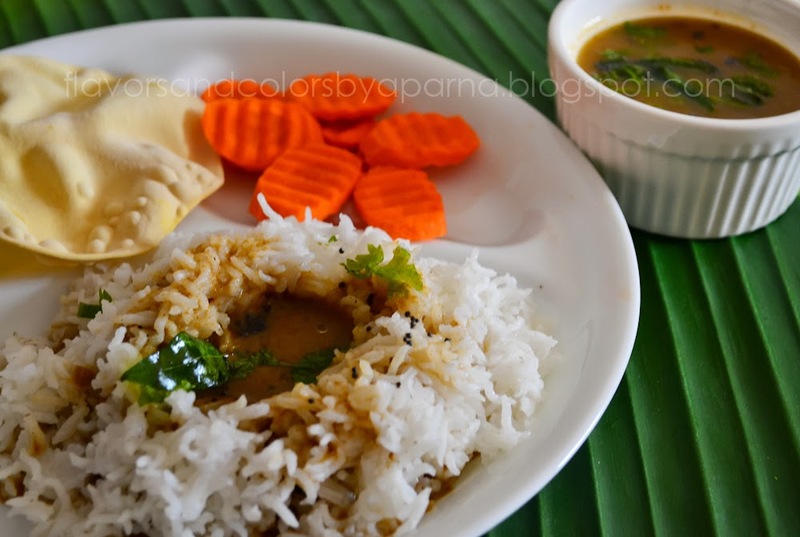 Thanks to Vidya Nayak Shenoy for sharing this recipe. I reduced the chilies as per my family requirements. Take 1 tsp oil roast asafoetida. Remove and keep it aside. 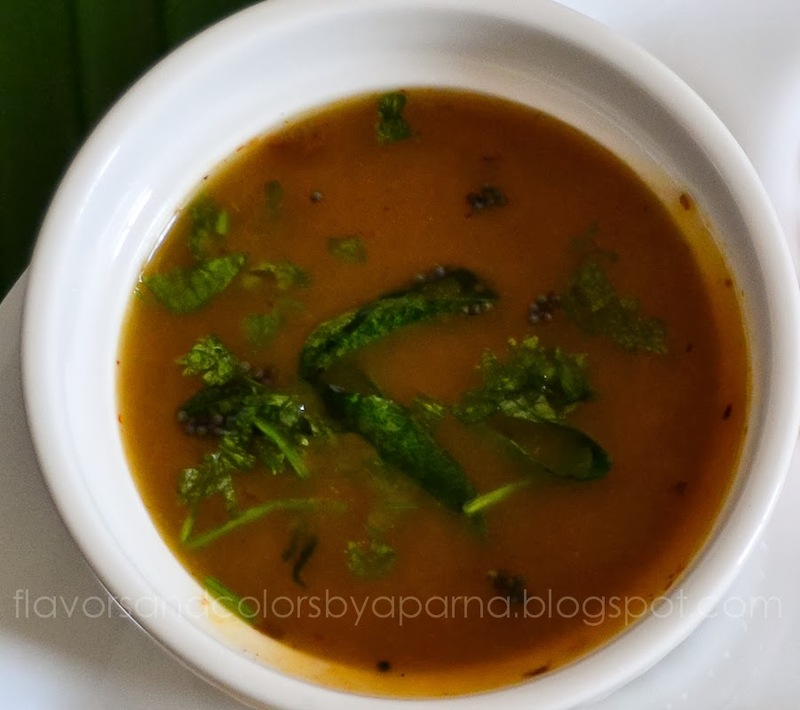 In the same oil roast one by one chana daal, coriander seeds, cumin seeds, fenugreek seeds, byadgi red chilies, grated coconut, and curry leaves. Keep the roasted ingredients on a plate and allow it to cool. Grind roasted ingredients with tamarind to a smooth paste. Transfer the paste to a vessel and add water to adjust its consistency as per your preference. Add salt to taste, jaggery and bring it to boil. After 5 minutes, switch off the flame. 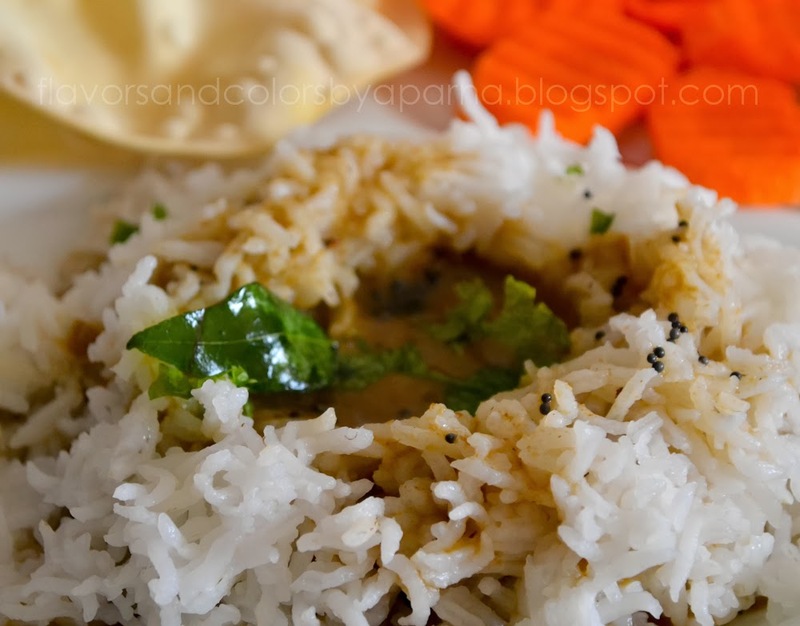 Prepare seasoning with mustard and curry leaves in oil and add it to the saaru. Garnish with finely chopped coriander leaves and close the lid. Serve it hot with rice or you could just drink it as soup.